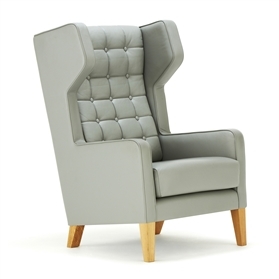 Grainger is a luxurious family of wingback armchairs and matching ottoman. Available as a high and low back, featuring exquisite upholstery detailing including piping and a deep buttoned back. Now including an elegant side chair, dining chair and stool.